...and they've produced a TV series of this? I want my Haruhi dammit!!! ...should we can this one from the playlist please? Maybe a few too many characters for some? Not sure why this one ended up here? Colour by numbers....but its all in shades of red!! ...and now, for the AJAS 2008 POLL TOP TEN!!!!! This was the only show in the top ten that I thought WOULDN'T be here, mind you, about halfway through this poll, it was in 2nd place. 2008 Michiko To Hatchin Kamichu! BY ORDER OF BARRON, WE ONLY WATCHED ONE EP! of michiko, oh and going to play kite/genshiken to the un initiated public are you?, well I would like to subscribe to your newsletter NOT. Kite is R18+ level anime smack. Barron will stop raging in 3.2.1 rage gone. 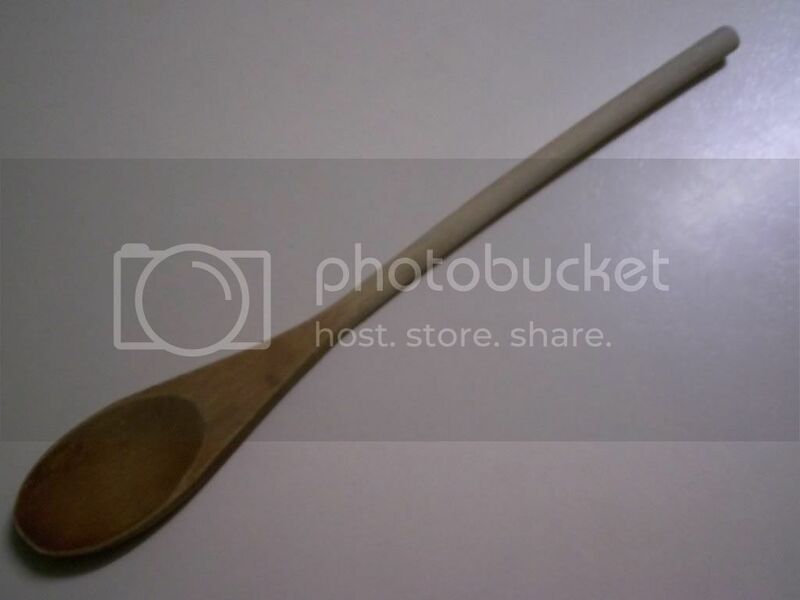 and gundam for the second time in AJAS's history with a spoon of wood? Whats wrong with your can of drink? The top of it reminds me of that shock picture of the weightlifter who strained just a little too much while in the standard no-toilet available position. And yes, can it. If poor Hayate can get it this Naruto clone can too. 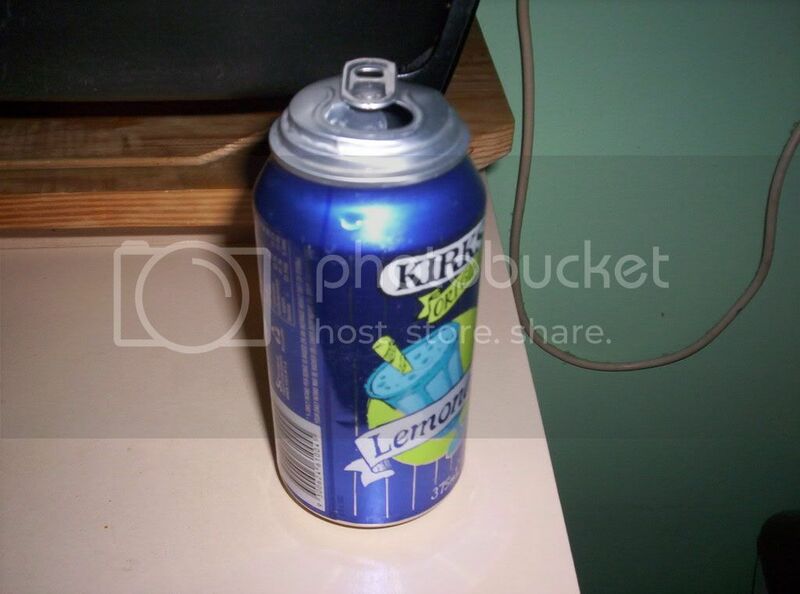 Bazza wrote: Whats wrong with your can of drink? I think that's what happens when the liquid inside freezes, and expands, pushing the top and/or bottom of the can out...? Buggrit. This was running as high as 4th at one stage. Ah well. Lulz at reversing the order. Just these left, people. Just these left. And the winner from this list should be pretty obvious, since it was always going to win from the start. It needed 0's from late-voters to stop that from happening. I think that's the whole point Mappy. Greg will most likely reveal those two tomorrow and save the top two for the meeting itself. I was going to go through the archives to find an anime that could be C&D, but it seems the archives disappeared? Last Exile wrote: I think that's the whole point Mappy. Greg will most likely reveal those two tomorrow and save the top two for the meeting itself. Correction. I'll be revealing those two tomorrow, and revealing the winner at approximately 11am on Tuesday. Ah, ta. But I did figure out the general idea, didn't I? Pity I'll be at work at the time #1 gets announced. Bazza wrote: I was going to go through the archives to find an anime that could be C&D, but it seems the archives disappeared? Try looking at the list that Greg posted for the poll here. If my reckoning is correct, the last 4 shows are Genshiken 2, Kurenai, Lucky Star OVA and Mitchiko To Hatchin. Or you could just look at Mappy's post earlier in this thread and remove the shows that have been revealed since then. Either way you get the same result. I wonder if my prediction of the winner will be correct? The show I thought would get the top is still going strong. I'm going to be so disappointed that that fourth title doesn't begin with K.
We really should tiebreak these. Now look at these three, and the winner should be blindingly obvious. I thought that only happened with the winner? Four shows in third place looks a bit messy. And I'm sure everyone would play favorites with these four. The worst any of them can finish, now, is sixth. Will you still be needing that drink then, Mendes?? Mappy wrote: Four shows in third place looks a bit messy. And I'm sure everyone would play favorites with these four. The worst any of them can finish, now, is sixth. Since it probably won't happen, why don't we all list or personal preferences with those four here? So, what are others preferences for these four? I hope that show is going on the regular playlist soon. You're worried it won't be? A #1 I can easily live with - adios to that drink. Mappy wrote: You're worried it won't be? Just making sure. I've learned never to assume anything.